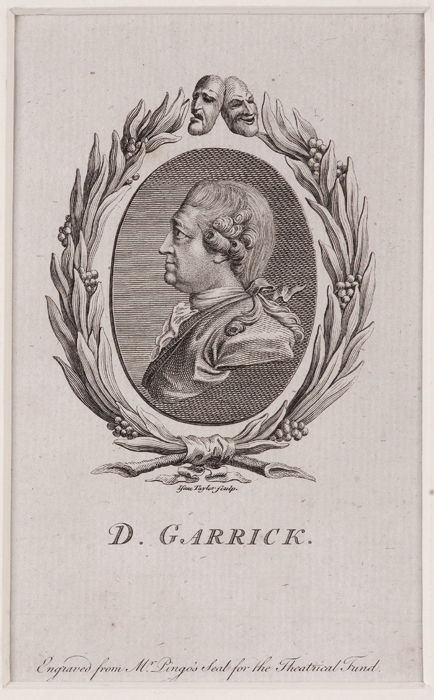 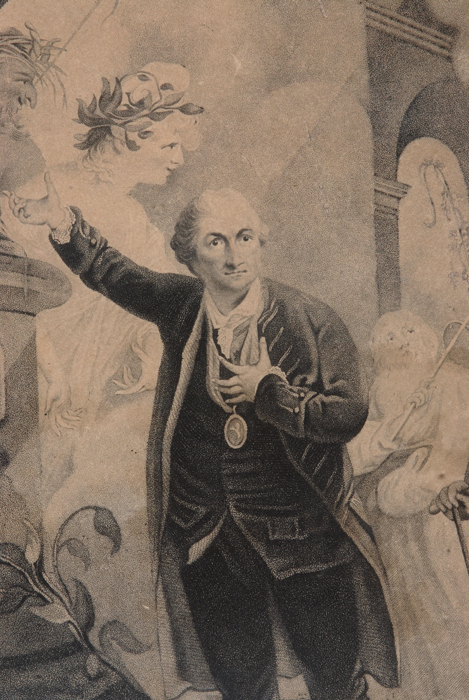 Garrick loved having his portrait painted, including by his many artist friends. 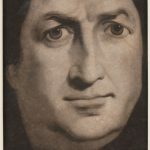 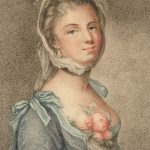 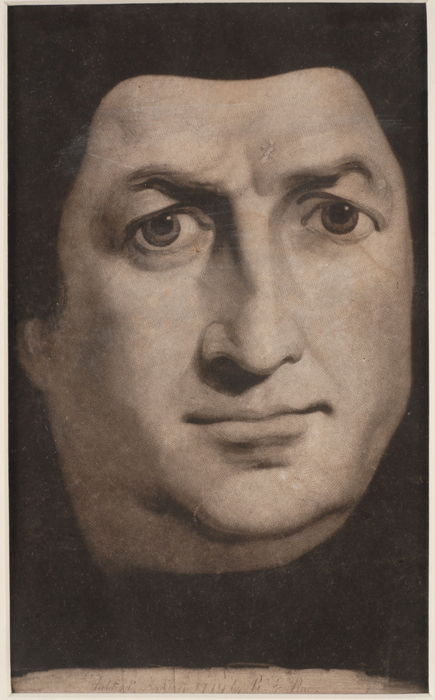 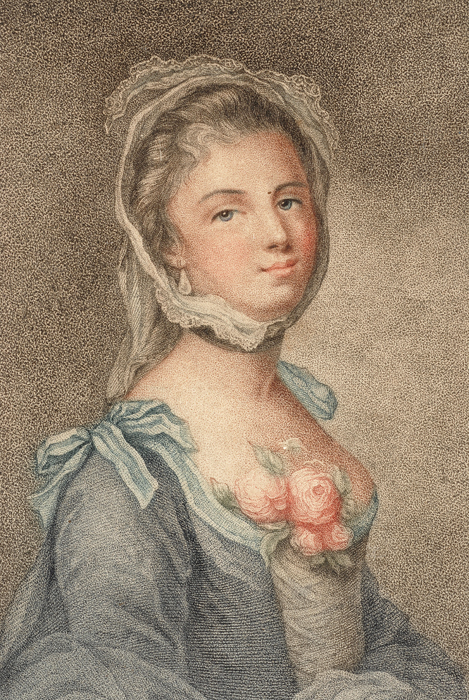 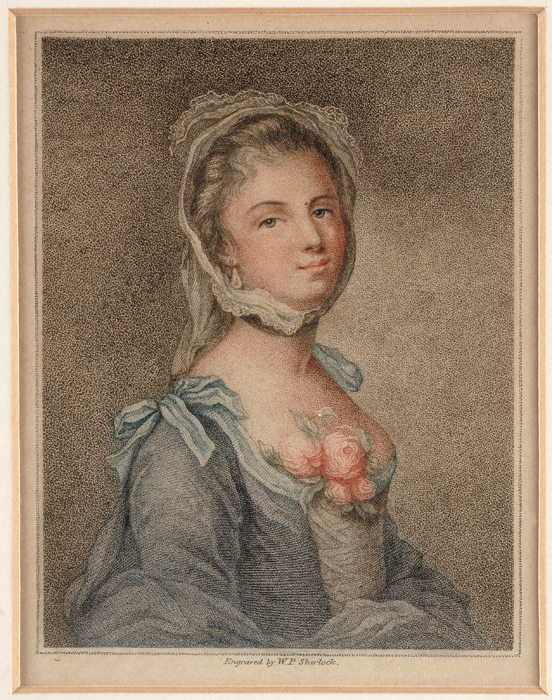 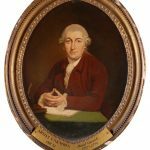 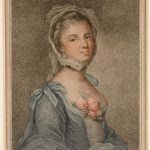 These portraits were copied by engravers and etchers to supply the growing market for celebrity portraits. 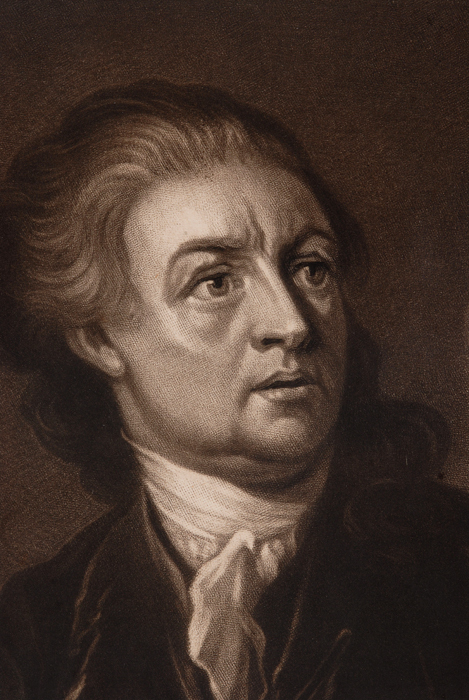 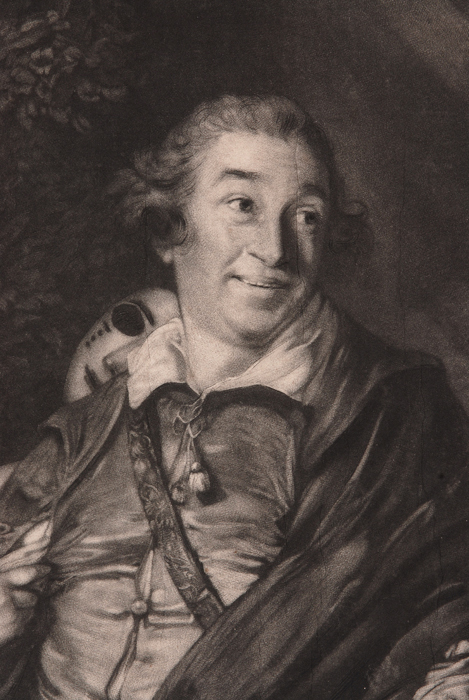 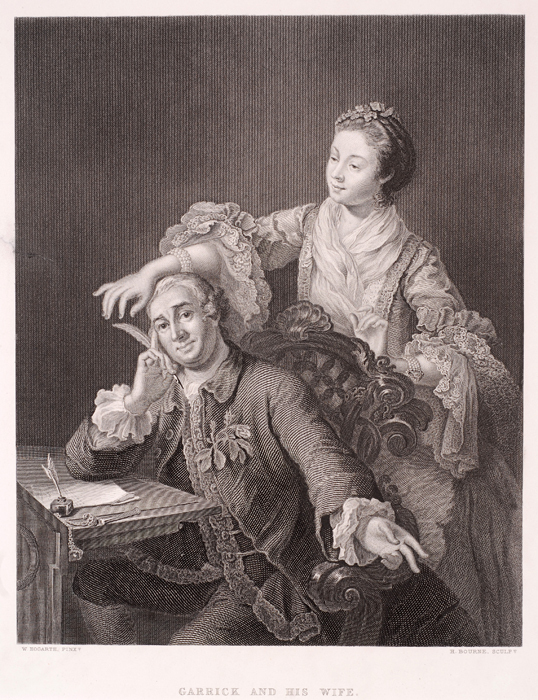 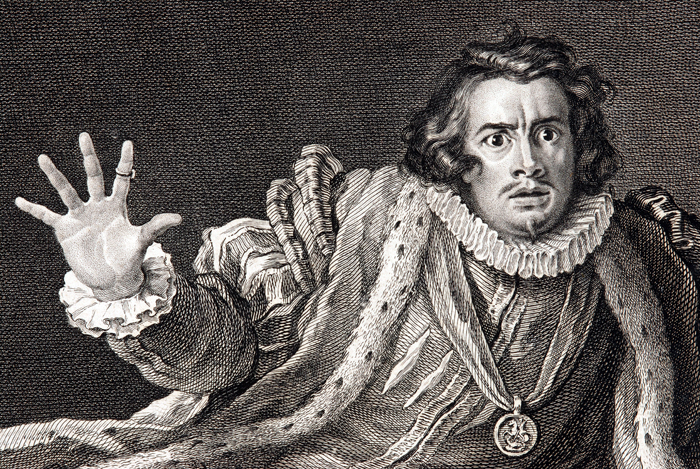 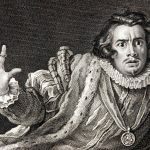 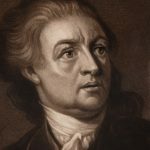 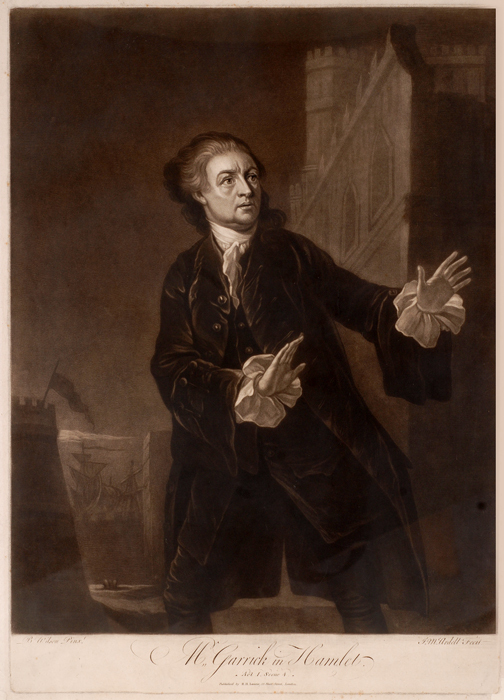 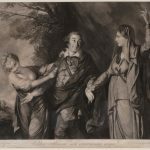 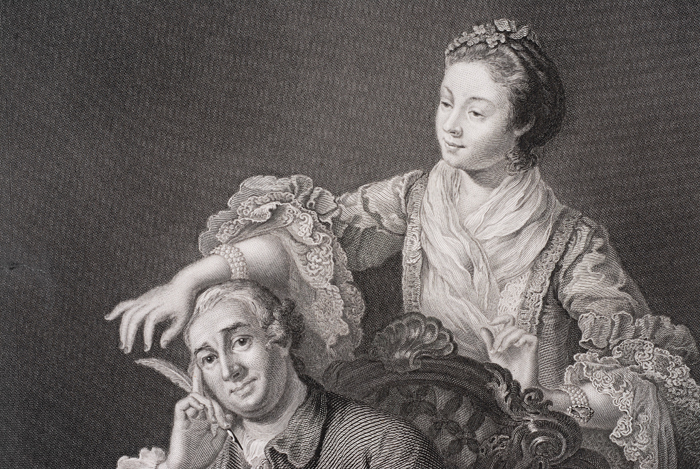 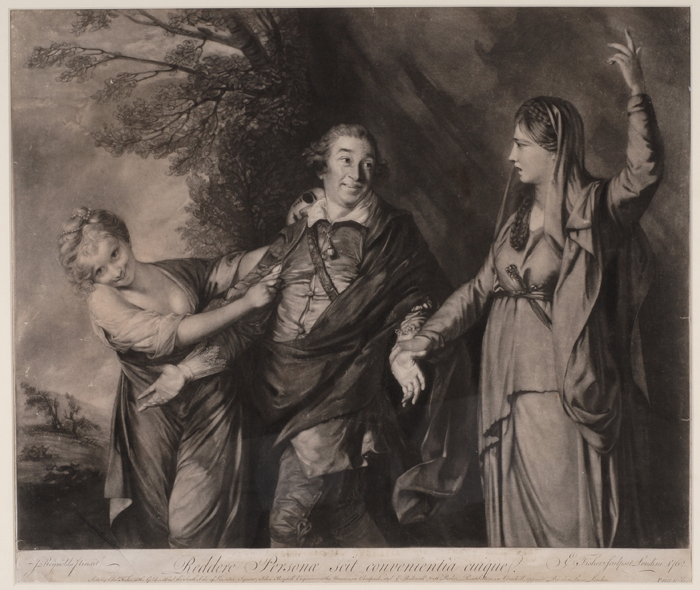 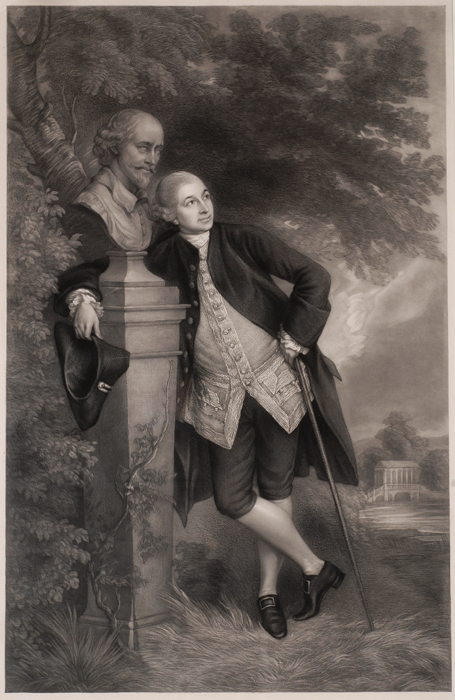 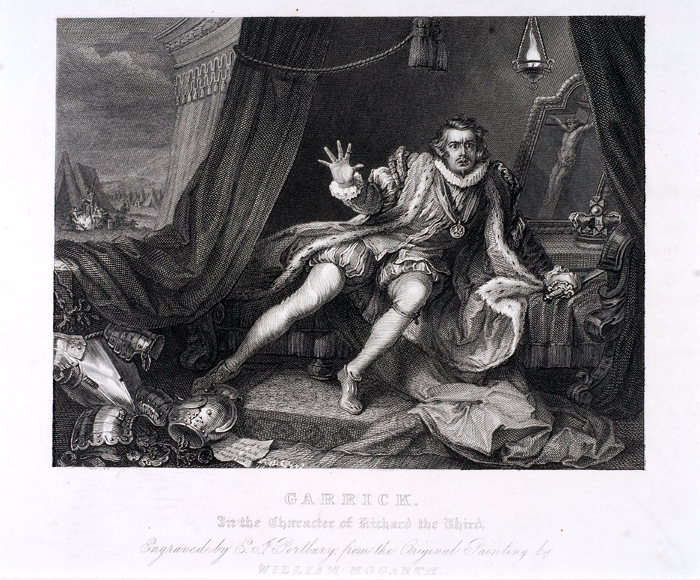 Among the most famous portraits of Garrick are those by Hogarth, Reynolds and Zoffany. 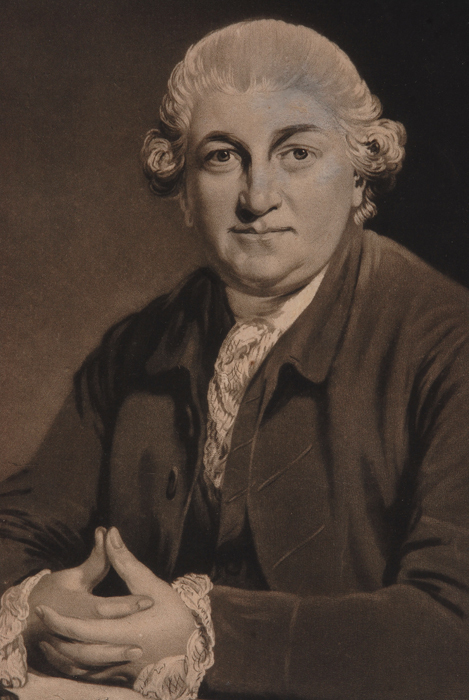 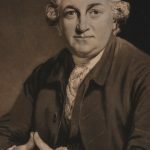 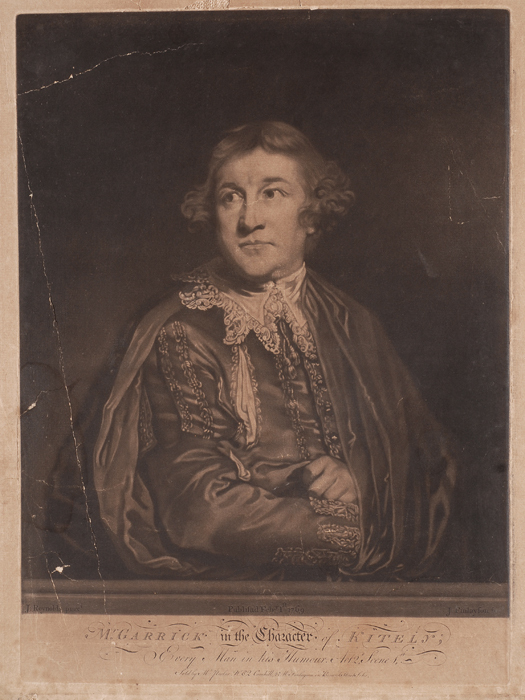 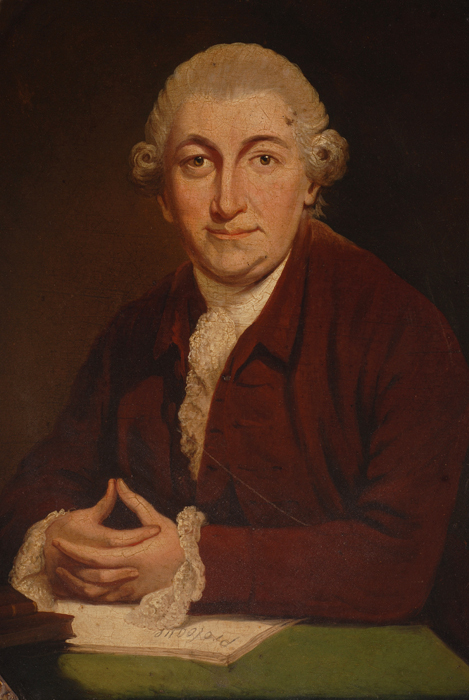 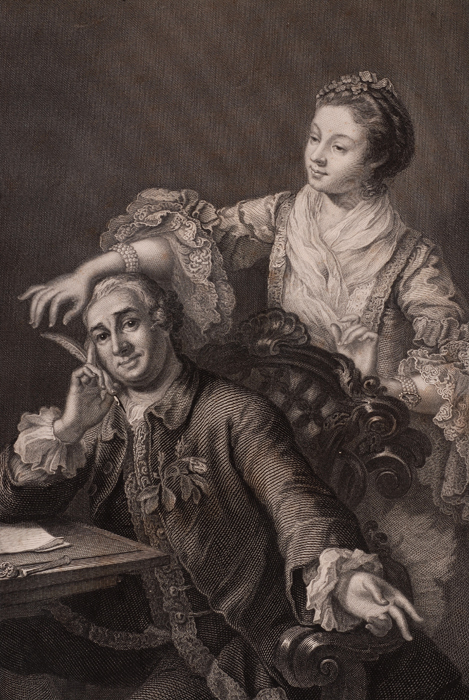 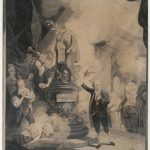 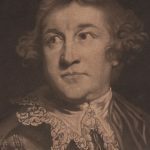 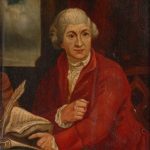 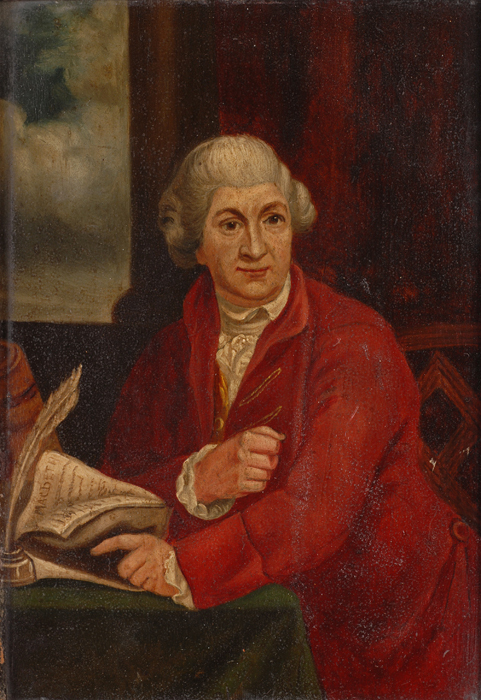 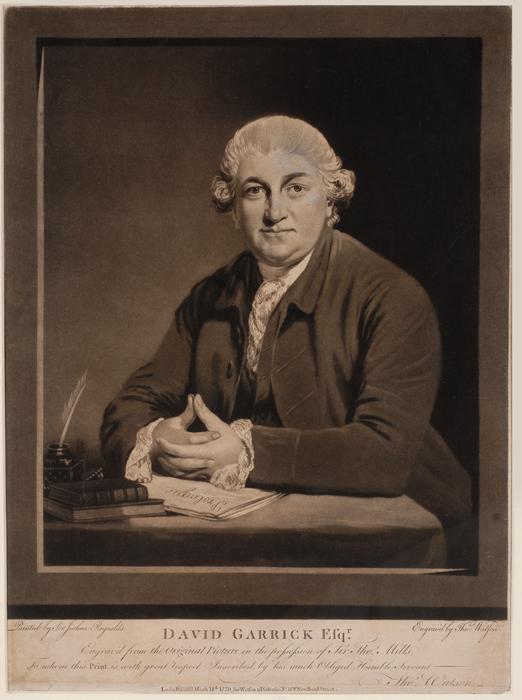 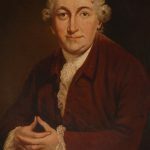 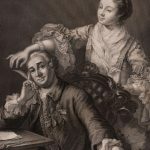 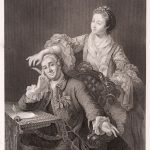 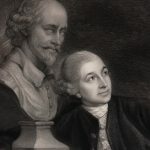 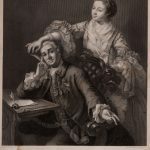 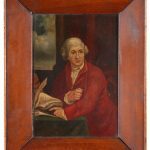 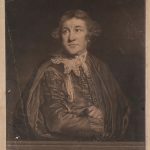 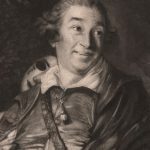 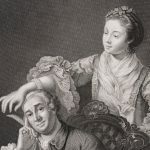 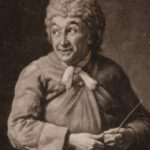 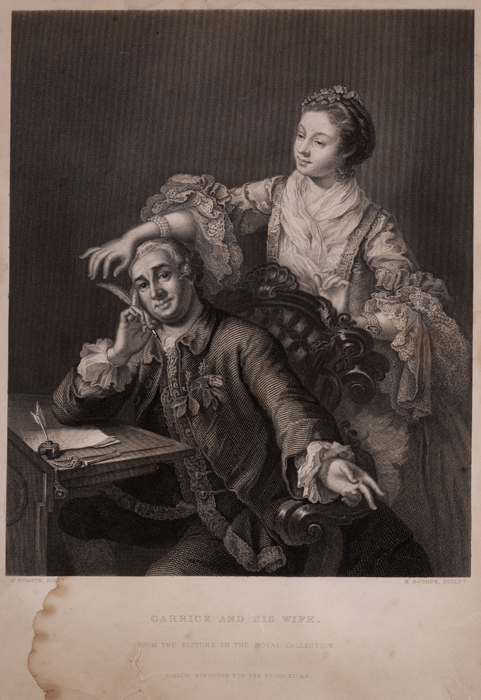 The National Portrait Gallery has 55 portraits associated with David Garrick, mostly paintings, but also a painted terracotta, produced c. 1758, after the sculpture by Louis Francois Roubillac. 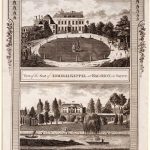 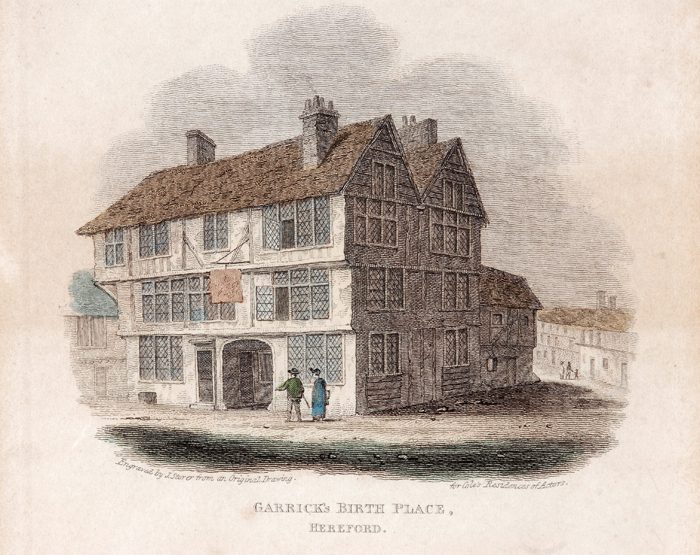 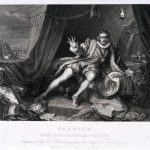 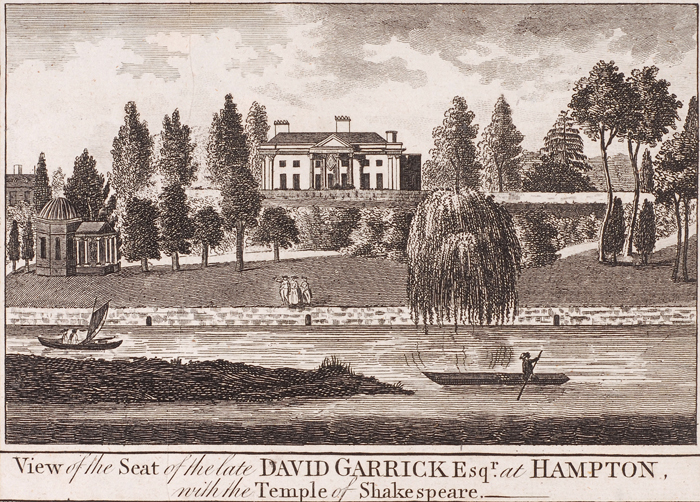 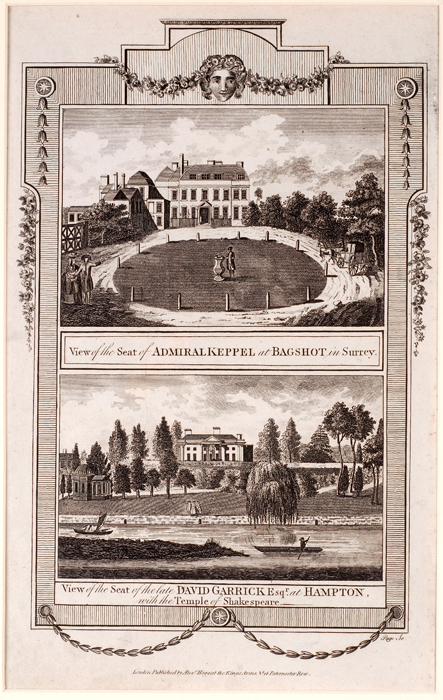 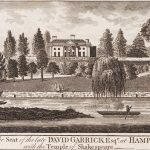 The Herefordshire Garrick Papers contain a memorandum regarding Roubillac’s agreement to make a statue of Shakespeare for Garrick to be placed in his garden at Hampton. 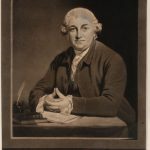 The National Portrait Gallery has a print after the drawing of his death mask by Robert Edge Pine; Hereford Museum also has a number of these prints, including a copy of the death mask. 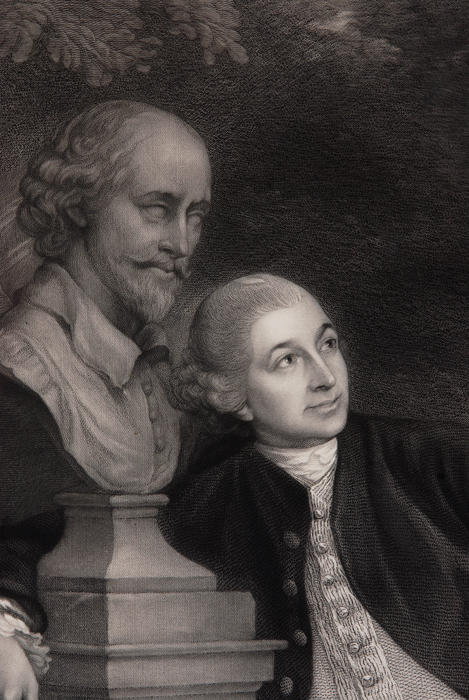 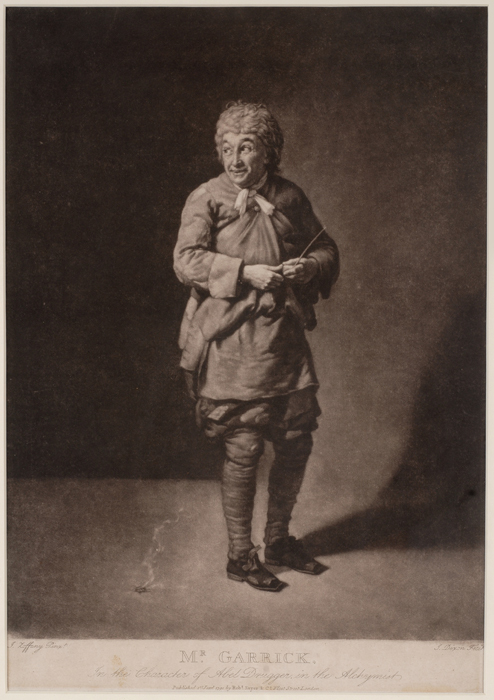 Images of Garrick in some of his most popular roles were also produced as porcelain figures. 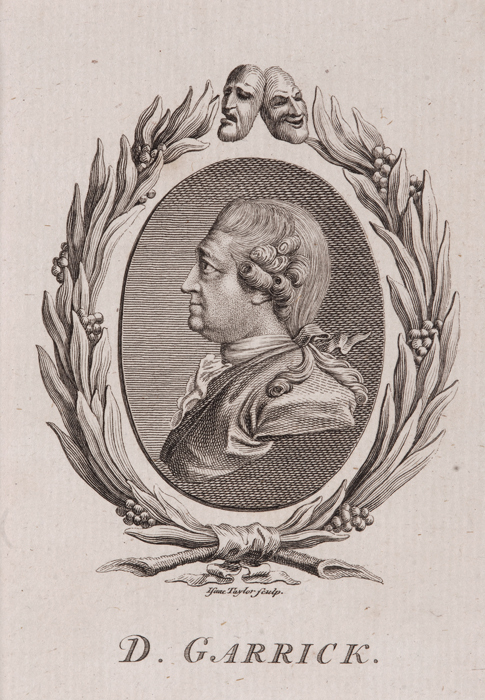 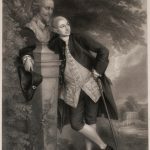 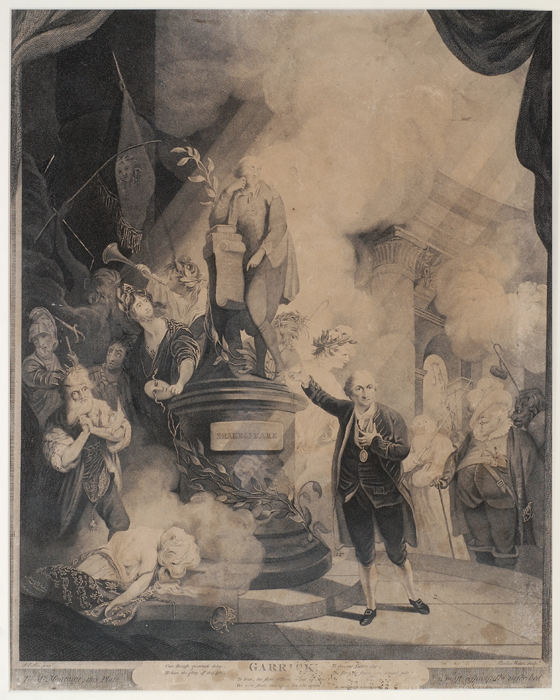 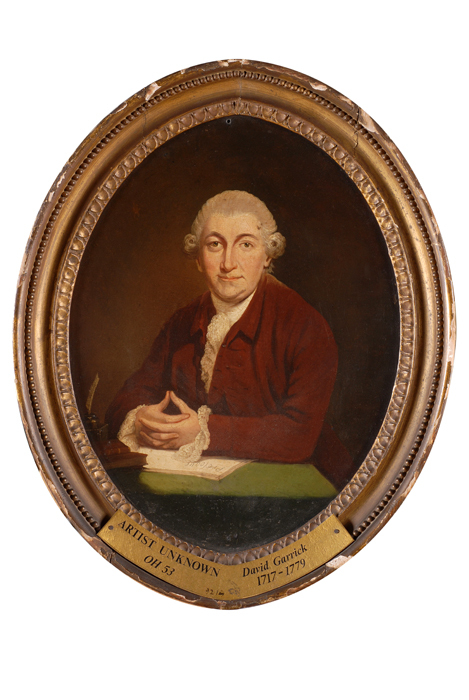 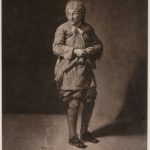 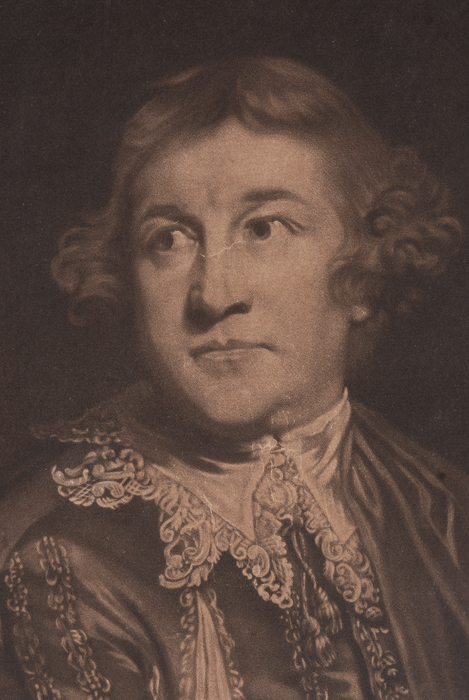 A fine representation of him as Tancred in James Thomson's play ‘Tancred and Sigismunda’, performed at the Drury Lane Theatre, London, in 1745, was produced by the Derby Porcelain Factory about the time of his death in 1779; it had a companion piece of Mrs Cibber in the role of Vivandiere. 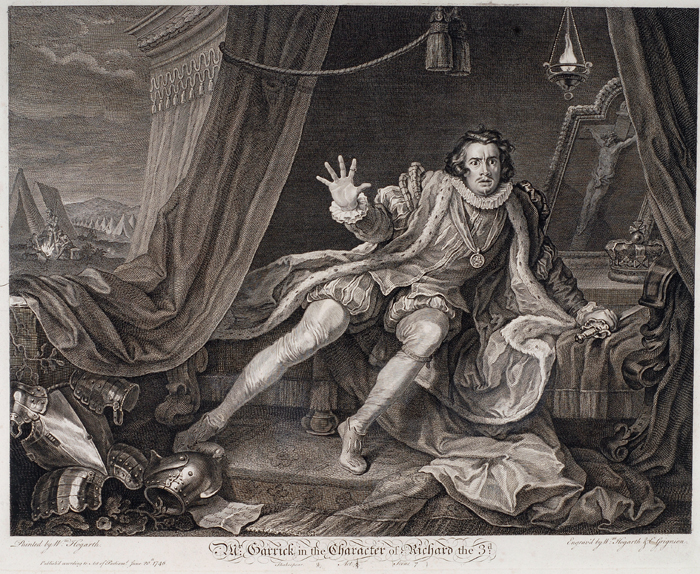 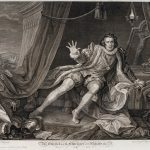 A portrait of him as Richard III, in the tent scene, by William Hogarth, originally painted in 1745, became very popular in the nineteenth century as a Staffordshire earthenware flatback mantelpiece ornament. 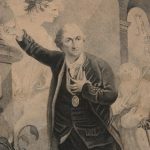 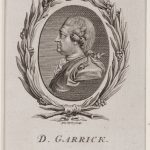 Other media were also used to produce images of Garrick. 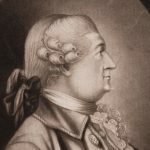 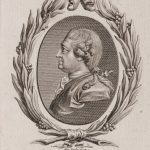 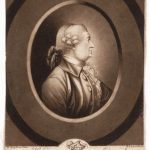 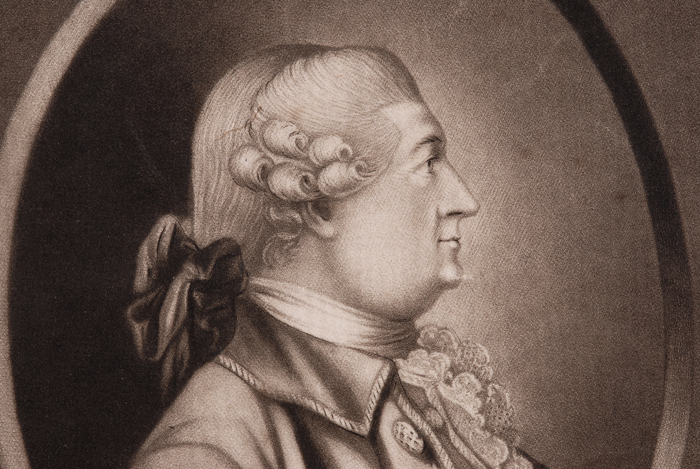 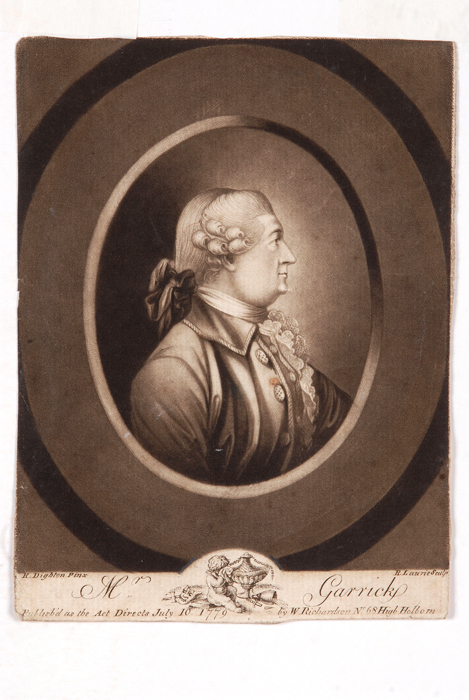 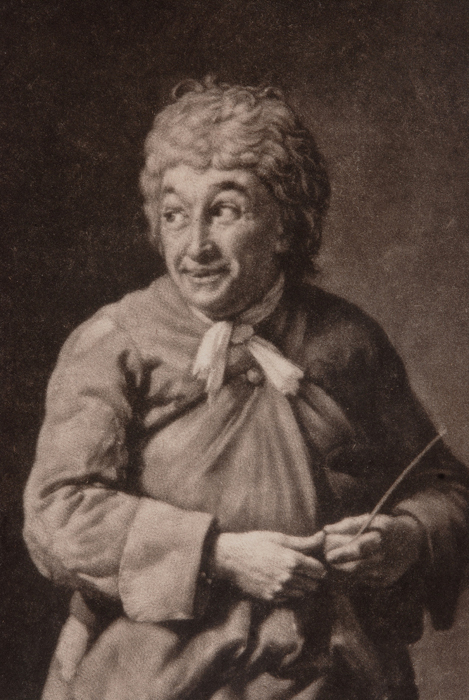 There is a particularly sympathetic pencil sketch of him by his friend Nathaniel Dance (1735–1811), drawn c. 1771. 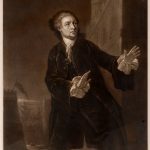 Artist: McARDELL, J. after WILSON, B. 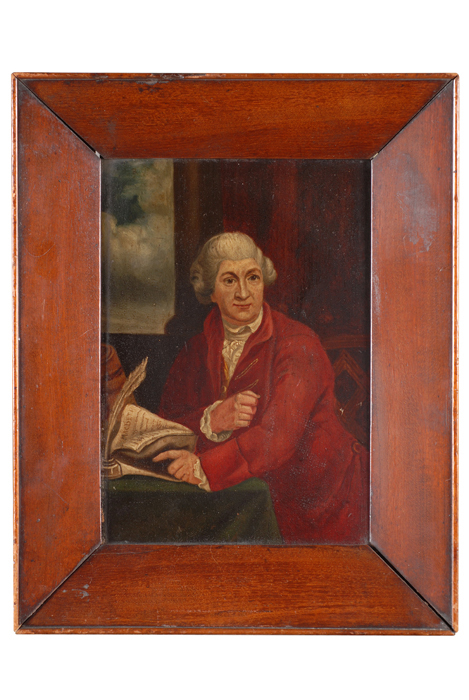 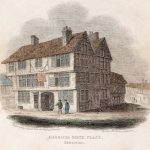 Artist: DIXON, J. after ZOFFANY, J.